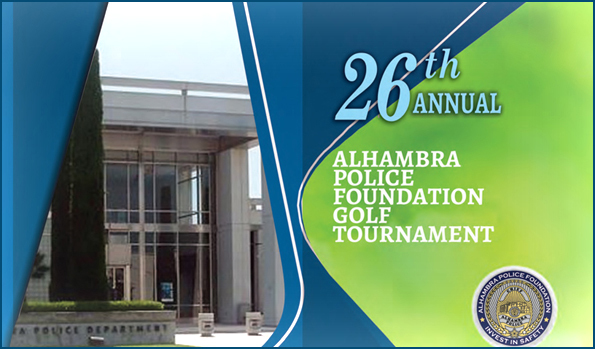 Alhambra Police Foundation – The mission of the Alhambra Police Foundation is to work in partnership with citizens, businesses and philanthropic organizations, to provide resources to the Alhambra Police Department in order to enhance the Department’s ability to serve at its highest level in improving public safety, decreasing crime, and making Alhambra a safer place to live, work and visit. 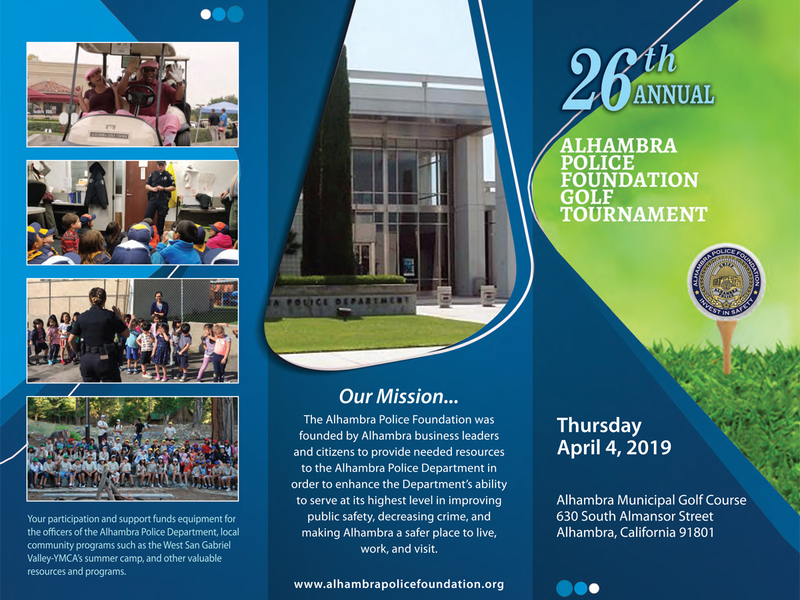 Join us for the 26th Annual Alhambra Police Foundation Golf Tournament on Thursday, April 4, 2019! 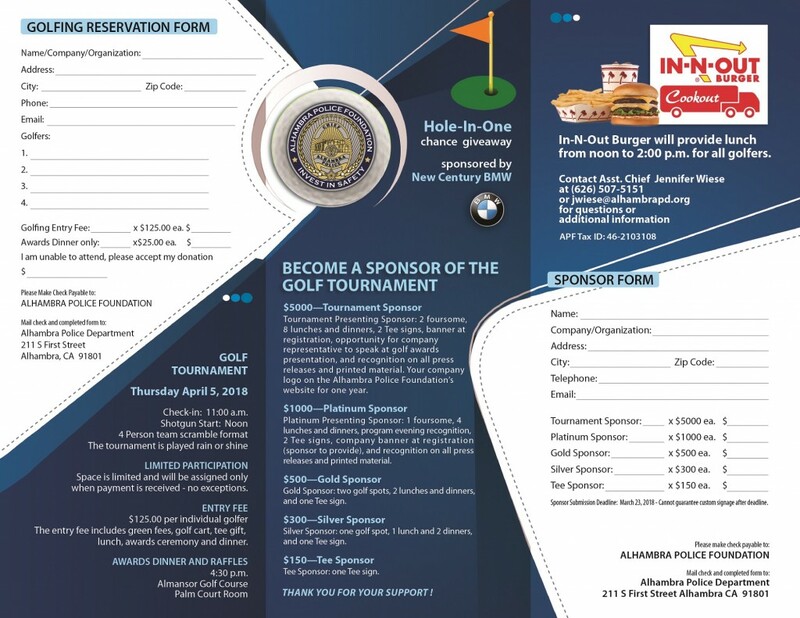 26th Annual APF Golf Tournament Sign up form! Please click on the image for a full size view. 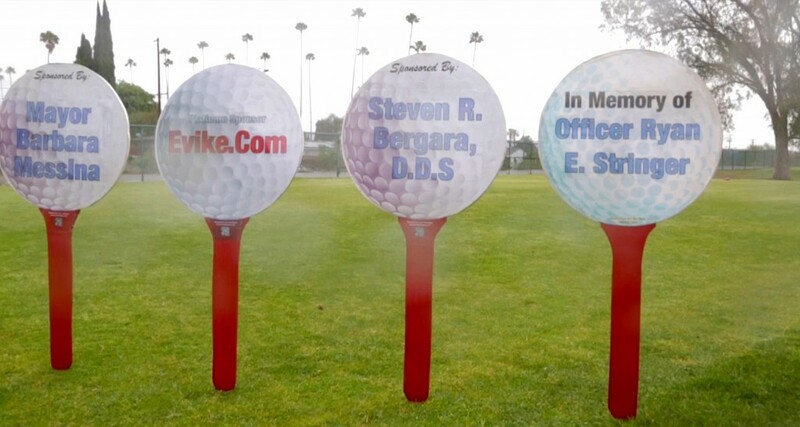 Become a Sponsor of the Golf Tournament! 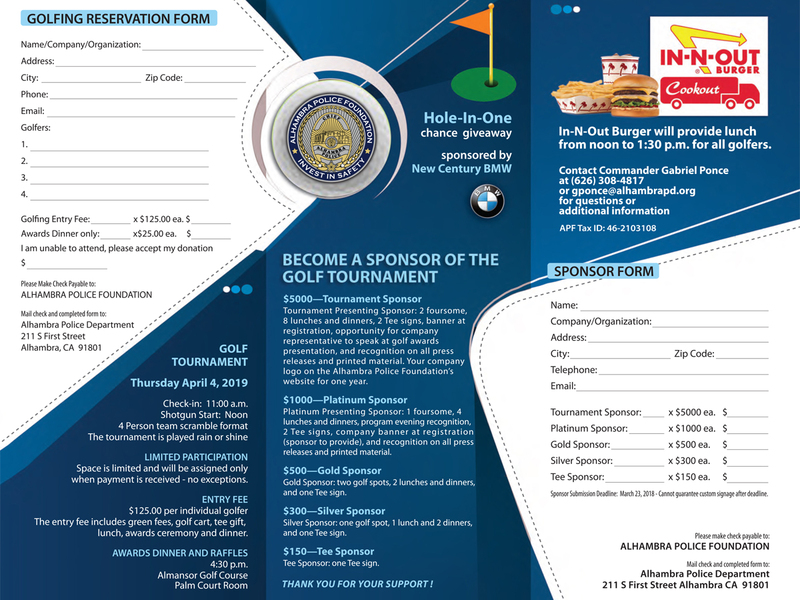 Want to be a sponsor for the Alhambra Annual Golf Tournaments? Fill out this form before March 23, 2018 and join our other wonderful supporters! Shop for everyone on your gift list this holiday at smile.amazon.com/ch/46-2103108 and Amazon donates to Alhambra Police Foundation. The holidays are approaching and we’ll all be busy shopping for gifts, decorations, and more. 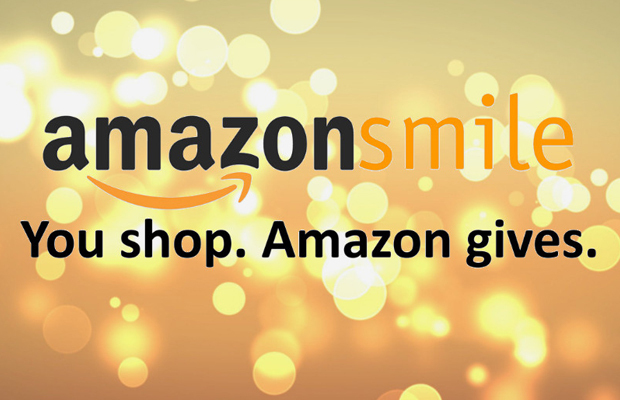 For all of our supporters and viewers, we encourage you to please do your online shopping with smile.Amazon.com, which gives you the option to donate to the Alhambra Police Foundation via the AmazonSmile’s donation system. Don’t forget to share this with your friends and family to help support the APF! We are now on AmazonSmile! 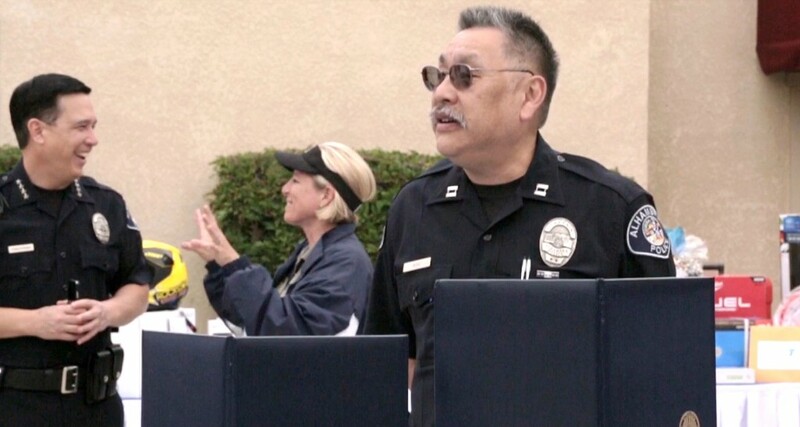 The Alhambra Police Foundation is now an option for the AmazonSmile donation program! Just click on THIS LINK to make the APF your charity to support. 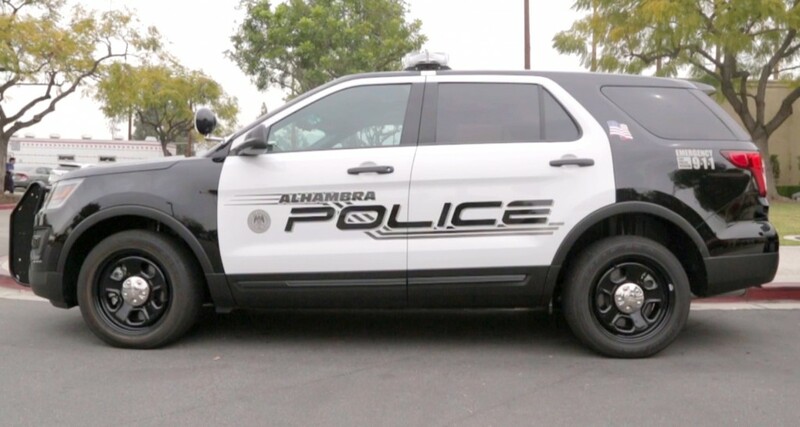 Now, whenever you purchase an eligible smile.amazon.com product, Amazon will donate 0.5% to help us support our Alhambra Police Department. Keep our community safe while you shop! 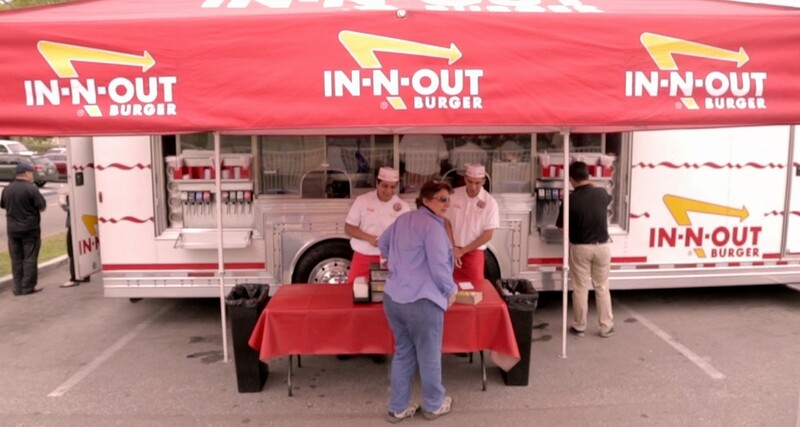 Click Here to check out our EventBrite page! Businesses to sponsor us in other ways by contacting us through EventBrite! Please help support us by visiting our Store Page, making a donation, or following us on Facebook! 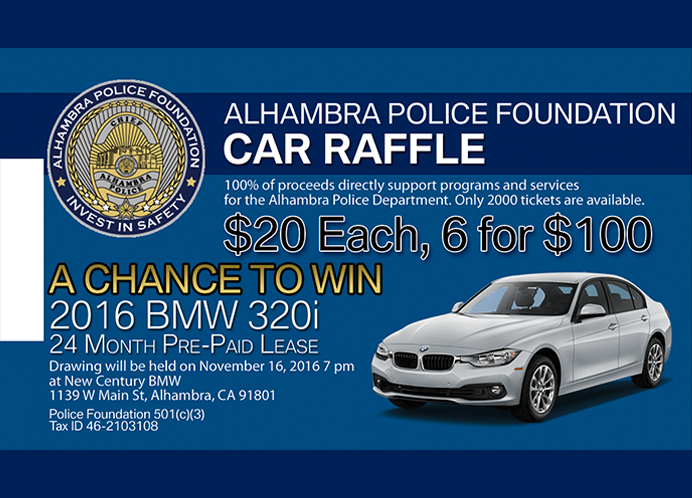 100% of the proceeds directly support programs and services for the Alhambra Police Department. 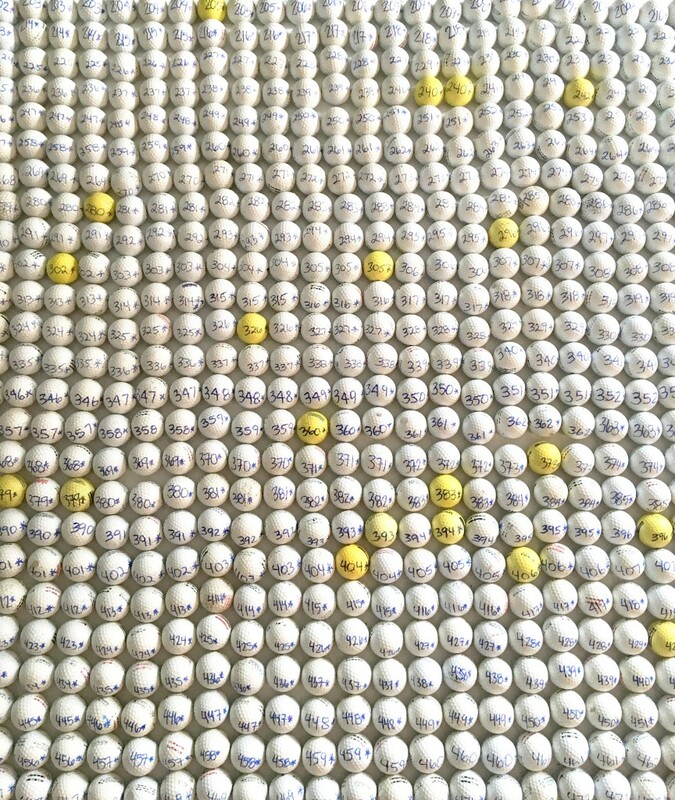 Only 2000 tickets are available. You’ll gain the chance to win a 2016 BMW 320i with a 24 Month Pre-Paid Lease. 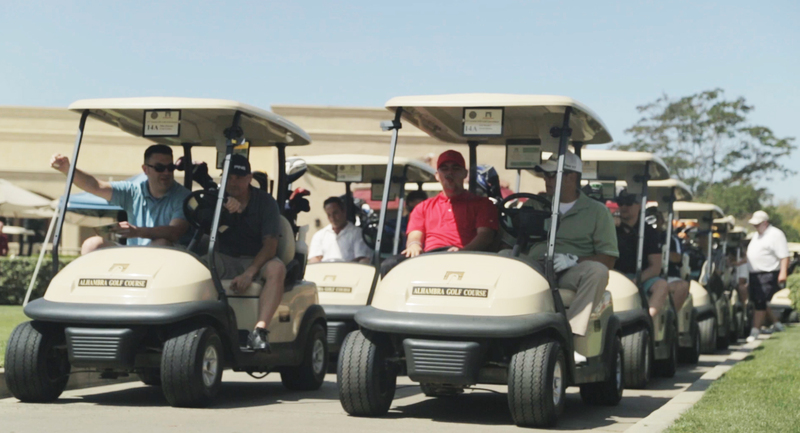 23rd Annual APF Golf Tournament Video! 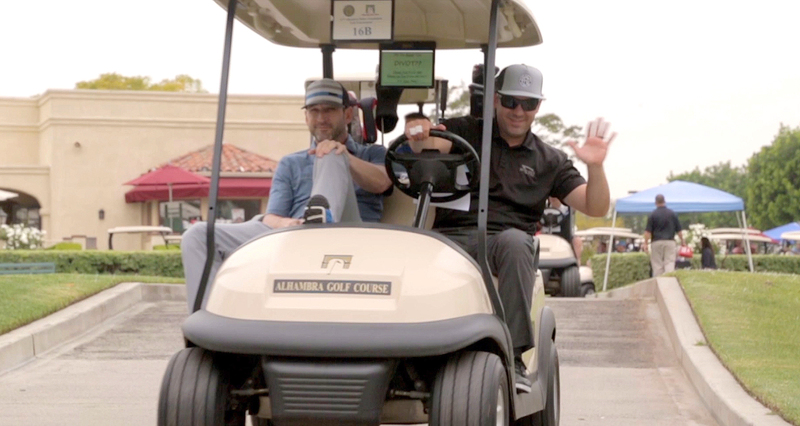 Our Golf Tournament video is finally up! Check it out and share with friends! Just click HERE or the image below! 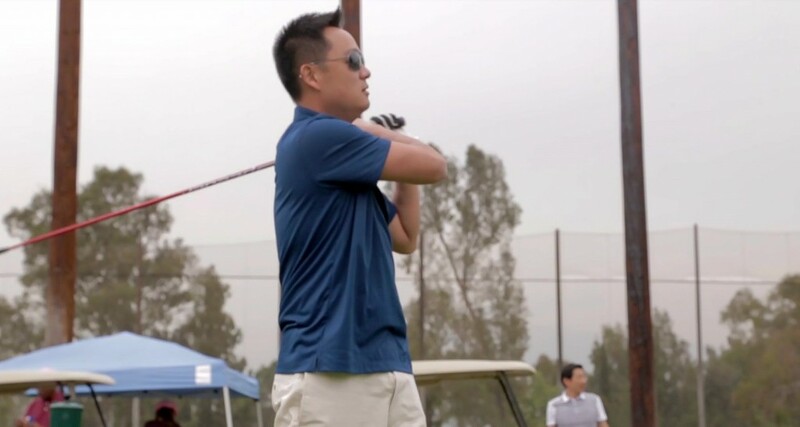 23rd Annual APF Golf Images! 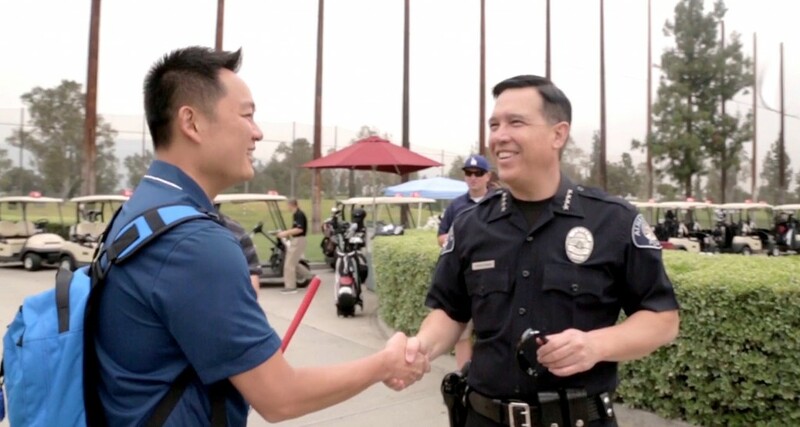 Special thanks to Lieutenant Jennifer Wiese for helping to make the 23rd Annual Alhambra Police Foundation 2016 Golf Tournament an amazing success! 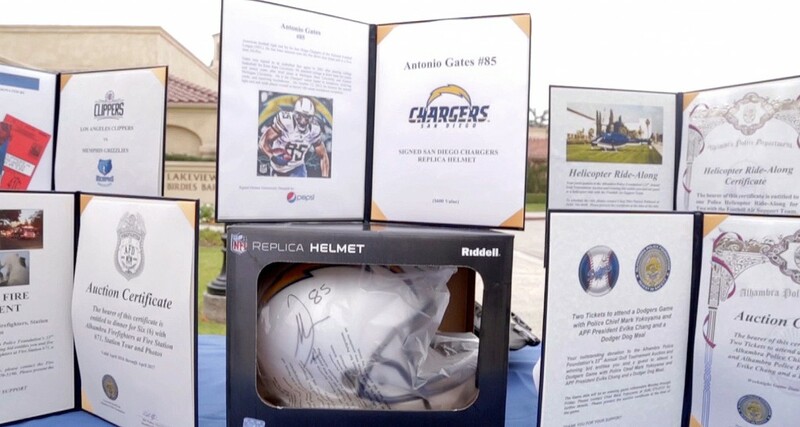 Check out huge collection of raffle prizes! Thank you to all of our wonderful sponsors and supporters! We appreciate it so much! See everyone next year! Wow! 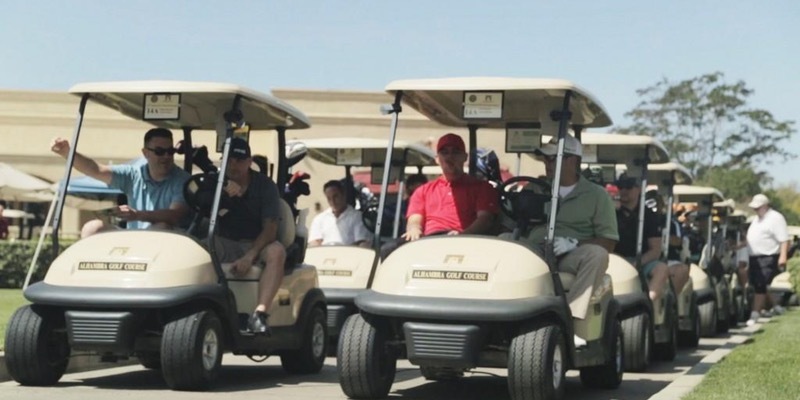 What an amazing time we had at this year’s 23rd Annual Alhambra Police Foundation Golf Tournament! 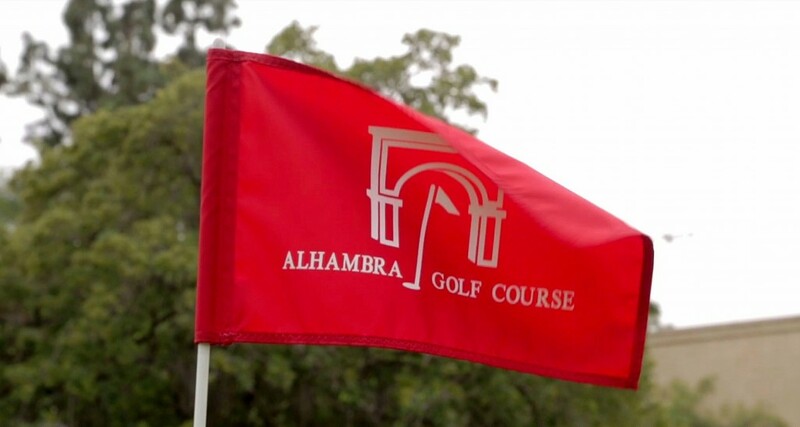 Thanks to the Alhambra Municipal Golf Course and of course, a special thanks to all of participating contributors! The Alhambra Police Department appreciates your generosity and support. 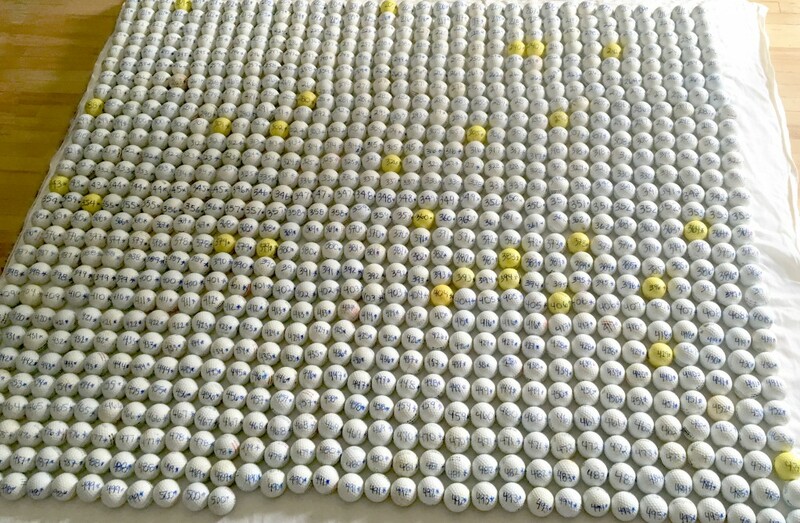 This fundraiser will go to our Police Officer’s equipment, the Children And Mentors Program, and other valuable programs. Thanks again to all of you! We greatly appreciate it and we hope to see you again next year!